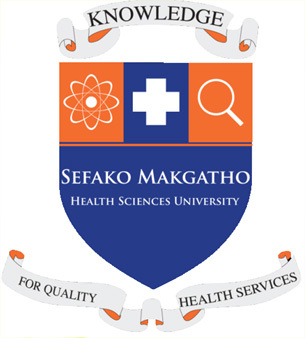 The Medunsa Campus (formerly Medical University of South Africa) will from next year become part of the newly instituted Sefako Makgatho Health Sciences University (SMU). “Today I am announcing the incorporation of the Medunsa Campus as a subdivision of SMU. The date on which the Medunsa Campus becomes a subdivision of SMU will be 1 January 2015,” Higher Education and Training Minister Blade Nzimande announced on Monday. The announcement follows a long process, which started on 26 May 2011, when Minister Nzimande announced his intention to separate the Medunsa campus from the University of Limpopo (UL). This was based on the findings and recommendations of a Task Team report appointed to review the impact of the merger of the then Medical University of South Africa (Medunsa) and the University of the North which resulted in the establishment of the UL. In July 2012, a Joint Technical Task Team was appointed to advise on transitional arrangements for separating the Medunsa Campus from the UL. The Joint Technical Task Team also conducted a comprehensive cost analysis that will inform the sustainability and viability of establishing a new medical institution as a stand-alone university offering a comprehensive suite of health care related programmes as its core operation. On 16 May 2014, Minister Nzimande established SMU as a juristic person, in terms of section 20 of the Higher Education Act (101 of 1997, as amended) through the publication of Government Gazette No. 587, Notice No. 37658. The seat and the main campus of the SMU is on the site of the Medunsa Campus of UL. The Minister explained that in terms of section 24 of the Higher Education Act and after consulting with the Council on Higher Education, the Minister may incorporate a subdivision of a public higher education institution with another public higher education institution. He also highlighted that the relationship between UL as the legal authority of the physical site and resources of the Medunsa Campus and SMU into which the campus is incorporated as a subdivision, is governed by the Protocol of Engagement signed on 27 June 2014 by the Chairpersons of the UL Council and the SMU Interim Council. “The protocol facilitates the cooperation between UL and SMU in the period leading up to the incorporation of the Medunsa campus into SMU. It provides a framework for effective communication, interaction, planning, preparation, implementation and mutual support between the two parties during the transitional period during which the Medunsa Campus will be de-linked from UL. “It also focuses on the preparation process to incorporate the Medunsa Campus into SMU and to ensure that operational decisions by any of the parties in this period do not adversely impact on the operational and organizational integrity of either party. “The protocol is published as a schedule to the notice publishing incorporation of the Medunsa Campus into SMU,” Minister Nzimande said.